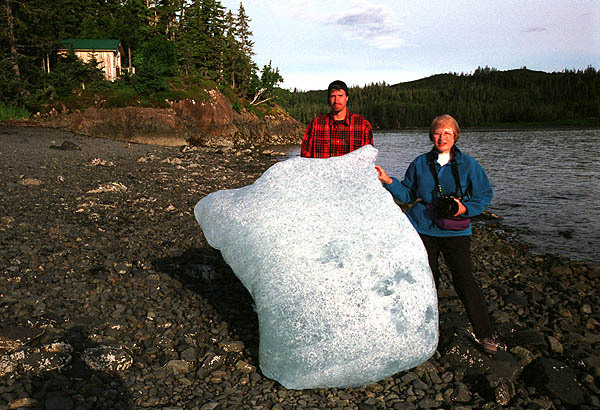 Overnight, several icebergs washed up on the beach at Growler Island. My brother and mother posed with the largest one. Our cabin is in the background.